Which Story Went Terribly Wrong, But Then Managed A Beautiful Ending? The world is full of stories that stoked up your excitement, only to deliver a weak ending. But sometimes, the opposite happens — sometimes you get a disastrous middle, and then a story randomly pulls out a beautiful ending. What's the most wonderful ending to a weak story you've ever seen? Please include a picture, poster, clip, book cover, comics panel or other signifier for the story that surprised you with a strong ending. And please mention its name, and why the ending redeemed it for you. Thanks! 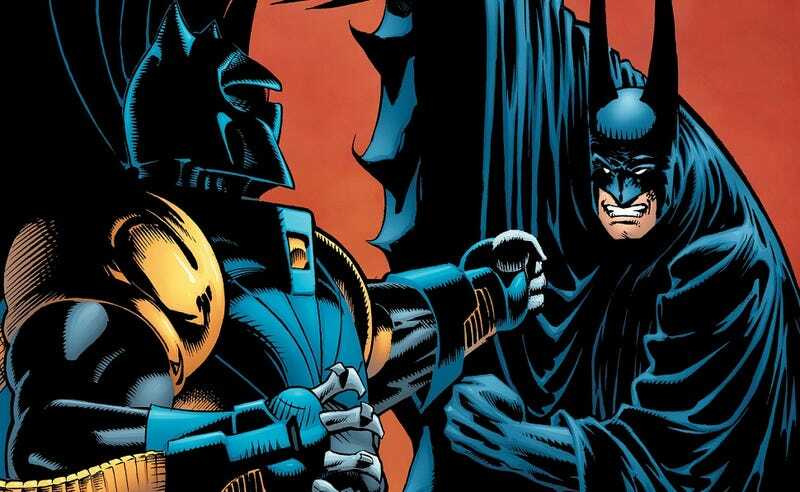 Top image: Batman, Knightfall/Knightquest/Knightsend. The storyline where Batman's back gets broken by Bane, and he chooses a crazy French cultist who's actually a genetically engineered monkey-human hybrid to be the new Batman. This story went very, very wrong, including Batman's spine getting healed by his psychic girlfriend, who regresses to childhood as a result. But the actual ending, in which Batman tricks his replacement into using night-vision lenses and then lures him into sunlight, is really poetic and kind of clever — it shows why Batman is the better hero, but also provides a great metaphor for what keeps Batman sane: he returns to the light.